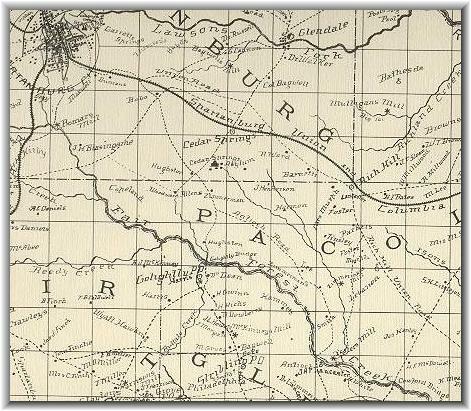 This image is a portion of a map of Spartanburg County based on an 1869 survey. The "Spartanburg, Union, and Columbia" railroad is the same Southern Line (Norfolk Southern today) that later formed the Northern border of the Camp. The road running south from the "Bobo" homestead formed the West border and the bottom right corner of this image approximate the Eastern and Southern borders.